Acknowledgement: This brief biography is adapted from the 1999 book, Stirring the Waters: The Influence of Marie Clay, edited by Janet S. Gaffney and Billie Askew. It is presented here with permission of the authors and the publisher, Heinemann, Portsmouth, NH. Text has been updated in a few places from text that appears in the original book. 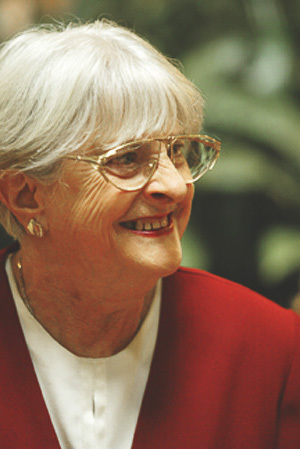 It is hard to find words to express what Marie Clay has meant to the field of reading education around the world. Who has done more to promote young children’s literacy? Who has done more to promote teachers’ professional knowledge, confidence, and practice? Who has done more to promote the concept of research-based practice and practice-based research?